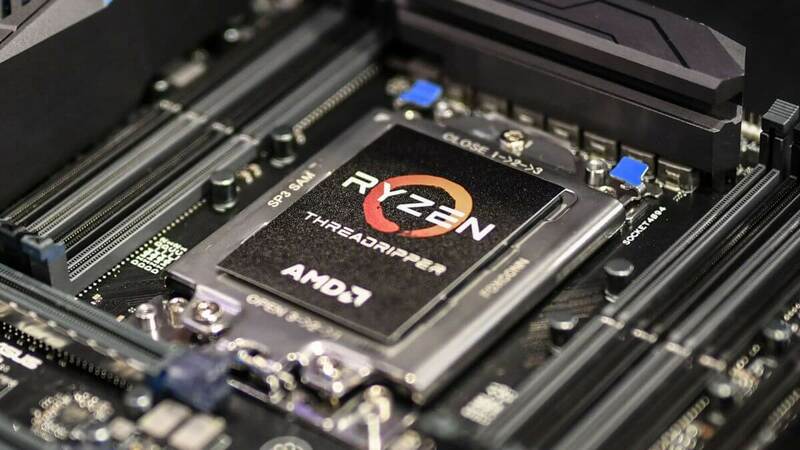 This week we received news on AMD's upcoming Threadripper and the highlights include the clock speeds and the prices. The Ryzen Threadripper 1950X, yeah that’s a bit of a mouthful, is set to come in at $1000, the same price as the 10-core Core i9-7900X. Why is that a big deal? Whereas Intel is offering a 10-core/20-thread CPU at that price point, AMD is serving up a 16-core/32-thread monster. That’s 60% more cores for the same price. AMD also announced the Ryzen Threadripper 1920X, a slightly more affordable 12-core/24-thread CPU for $800. Both CPUs are said to operate at a max boost frequency of 4GHz which is great. The 1950X sports a base frequency of 3.4 GHz, while the 1920X will run no slower than 3.5 GHz. We don’t yet know what the all-core turbo frequencies are, or how many cores will operate at the maximum 4 GHz turbo frequency. Those specifications complement what we already knew about Threadripper. To quickly recap: Threadripper CPUs pack two Zeppelin dies, the EPYC server-grade chips use four of these dies. Each Zeppelin die provides 32 Gen 3.0 PCIe lanes for a total of 64 lanes, so you can connect up as many graphics cards and high-speed NVMe storage devices you want without running into any bandwidth limitations. Within a Zeppelin die are two CCX modules, so technically Threadripper is two Ryzen 7 CPUs stitched together, or glued as Intel would so elegantly put it. Actually why glued Intel, they use fabric to connect the modules, stitching seems like it would be the prefered method. Anyway, in total there are four CCX units, each offering 4-cores/8-threads, so you can double everything Ryzen 7 has and this means you end up with a massive 32 MB L3 cache and support for quad-channel memory. As you might imagine, sticking two Ryzen 7s together is going to make for a massive CPU and that is exactly what Threadripper is, absolutely massive. AMD has designed a new platform to accommodate the behemoths, supported by the cunningly named X399 chipset. The new Socket TR4 uses the ‘Land Grid Array’ surface-mount packaging, commonly referred to as LGA. Unlike Ryzen 5 and 7, there are no pins on the CPU itself. These have been moved over to the motherboard, this is the same method Intel has been using for years. But whereas Intel’s latest high-end desktop CPUs utilize 2066 pins, Threadripper demands an incredible 4094 pins. This kind of extreme platform demands a new name, so superseding Intel’s high-end desktop or HEDT we now have the SHED, which is short for ‘Super High-End Desktop’. AMD also announced that the Threadripper CPUs will become available in early August, no mention of a 10-core part at this stage. So you’ll be able to buy one of AMDs super high-end desktop processors for a reasonable price soon, but should you? Potential buyers have the option to pull the trigger on the Core i9-7900X right now or go with the Threadripper 1950X in a few weeks' time. AMD showed a quick Cinebench R15 demo featuring both Threadripper models and compared the results to the Core i9-7900X. The Core i9-7900X scored 2167 pts which is consistent with our own findings, we reported a score of 2201 pts in our review. The 12-core 1920X spat out an impressive score of 2431 pts and to beat that the 7900X needs to be overclocked to 4.7 GHz, where it consumes enough power to embarrass your wall heater. Then the big guy, the 1950X turned in an incredible score of 3062 pts. While breathtaking, this wasn’t entirely surprising given the 1800X manages around 1600 pts. What this means is that for workloads that can utilize all of the 1950X’s many cores, it should deliver almost 40% more performance than the Core i9-7900X. That is a massive performance difference for a CPU of the same price. So should you wait a few weeks for Threadripper before making your ultimate choice? Hell yeah. As I see it, AMD really has Intel in a serious spot of bother with these high-core count CPUs. When it comes to gaming, there is no question the quad-core Core i7-7700K still rules them all, for now anyway. This goes beyond gaming, anyone seeking a CPU with 8 or more cores probably isn’t gaming, or at least they're not just playing games. When we talk about 10-core CPUs commanding such price premiums as the 7900X, gaming really isn’t a consideration and this is of course true for the 12 and 16-core Threadripper CPUs as well. So if you're not gaming, and you do require a high core count CPU for things such as encoding or rendering, then you really do want as many cores as you can afford. As we just saw with Cinebench, AMD’s higher core count 1950X takes the 7900X to the cleaners. Of course, we've yet to test Threadripper ourselves, but given what we know about Ryzen 7 and Intel’s Core-X lineup, I just don’t see how Intel can compete here given their current pricing strategy. We don't know if the 12-core model also features the same 32MB L3 cache as the 16-core model, AMD also haven't confirmed the CCX configuration, we'd assume we're looking at 3 cores per CCX for the 12-core model. We also don’t know about the official DDR4 memory support, we'd assume DDR4-2666 and possibly an insane 1TB of memory will be supported. Finally, if the CPUs come bundled with a cooler, and if not, can existing coolers be adapted to the new socket. On the opposite end of the spectrum, AMD also announced the Ryzen 3 1300X and 1200. The 1300X will operate at a base frequency of 3.5 GHz with a turbo of 3.7GHz, while the 1200 will run at 3.1 GHz with a turbo of 3.4 GHz. No pricing info yet, but AMD says these CPUs will be available next week on the 27th. Before that happens, we'll have a simulated Ryzen 3 benchmark feature in the next few days as we know Ryzen 3 chips are simply Ryzen 5 1400s with SMT disabled. The results are very interesting and we'll be able to give you guys a heads up in advance if Ryzen 3 will be worth the expected asking prices.